Eponine Momenceaux. Photo by Niki Kannan. We met after the CST reception for Aaton, Angenieux, K5600, Transvideo last Thursday in Cannes. I was invited to lunch by AFFECT, Aaton and Transvideo President Jacques Delacoux, CST President Pierre-William Glenn, AFC, and Angenieux President Pierre Andurand. Pierre-William led the way to his favorite restaurant, Astoux & Brun (depuis 1953). Apparently he goes there almost every day during the festival. It’s well deserved. Pierre-William supervises all the projections and technical details of the Cannes Festival. Pierre-William, Pierre Andurand, Jacques Delacoux all advised: “Interview Éponine.” They knew something the critics at Cannes didn’t know. “Dheepan” would win the coveted Palme D’Or two days later — first prize at Cannes. The story unfolds like an ethics class, or like a screening of the “Battle of Algiers. Your sympathies sway. Dheepan was a Tamil Tiger in Sri Lanka. The battle lost, he arrives in France, pretending to be married to a woman with a little girl. He finds work in a housing project in a tough banlieu, and one cannot overlook the fact that director Audiard’s original intent was a remake of Sam Peckinpah’s “Straw Dogs.” It was a total surprise to all the critics that “Dheepan” won — but obviously not a surprise to Glenn, Andurand, and Delacoux. 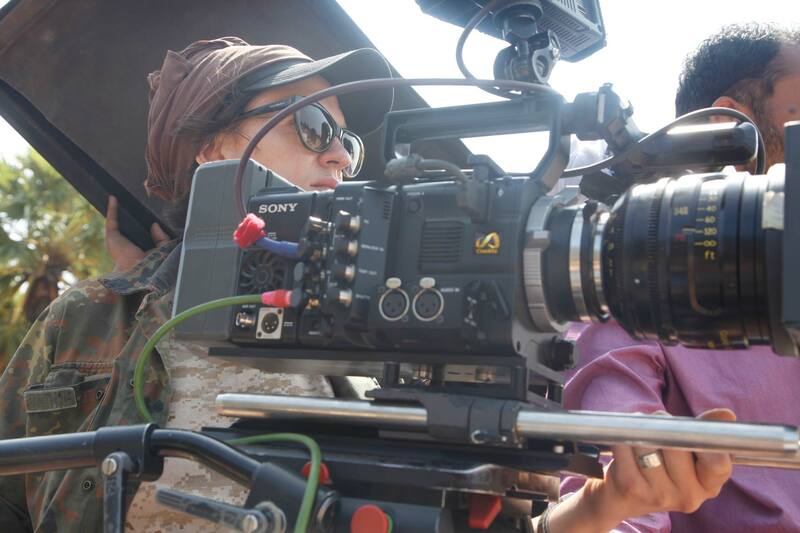 “Dheepan” was shot with a Sony F55 from Panavision Paris.Eponine said, “I like the fact that it is a lightweight, comfortable, shoulder resting camera. We did tests in advance, and I thought it had the best colors for faces, with the best color gamut, and color space. 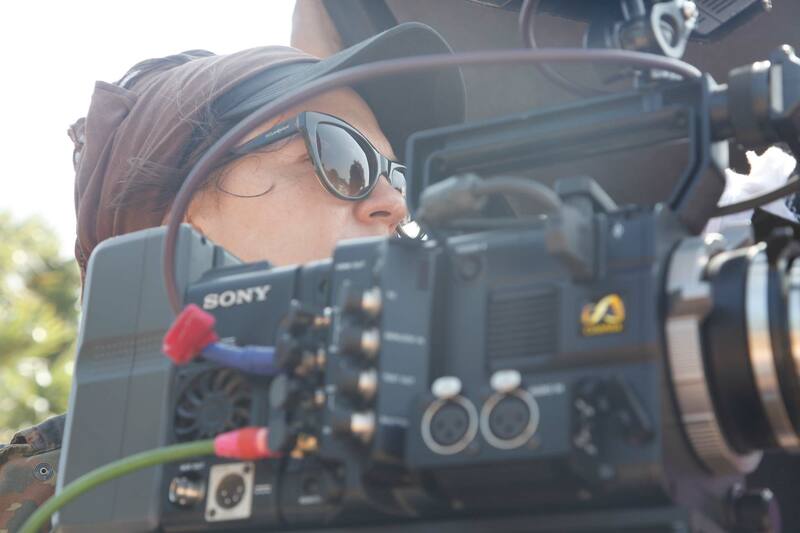 We shot in spherical widescreen with Cooke S3 lenses, Angenieux Optimo 28-76 mm zoom and occasionally 24-290. In India it was Cooke S4, but for the majority of the shooting it was S3. Here are excerpts of an interview for the AFC (afcinema.com) by Brigitte Barbier, translated from French by Alex Raiffé. Courtesy of the Association of French Cinematogrpahers. For his seventh feature film, Dheepan, which is in the Official Competition of the 68th Cannes Film Festival, Jacques Audiard chose an unknown aspiring actor to play the lead role. The story is about a former rebel soldier, a young woman, and a little girl who pretend to be a family in order to be evacuated from their war-torn country. Upon arrival in France, they have to adapt to a new life in a violent housing project. It is there that this imaginary family will, over the course of time and the events they face together, learn to form a “real” family. A graduate of La fémis’ Image Department in 2011, Eponine Momenceau directed an experimental film screened at the Palais de Tokyo in 2013 and a film for Arte, Jungle, as part of the Atelier Ludwigsburg-Paris – La fémis. 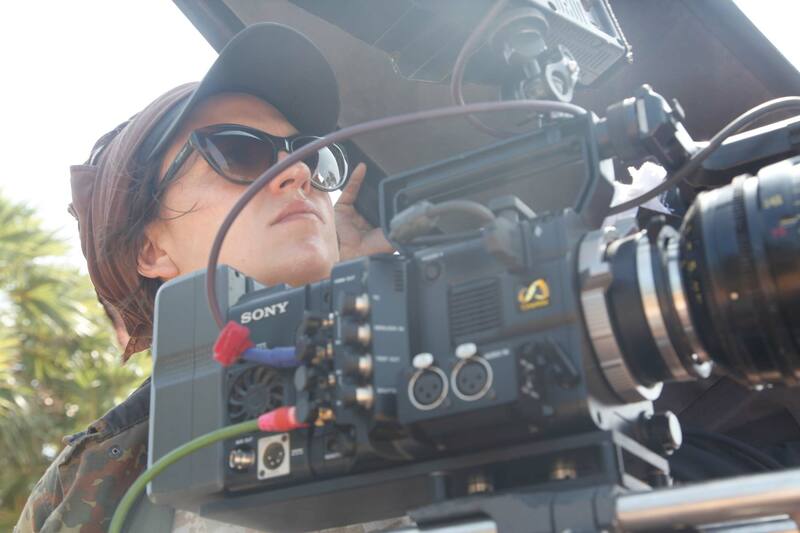 She was the director of photography for several short films and then one day Jacques Audiard called. He saw her film Waves Become Wings at the Palais de Tokyo, and he wanted to offer her the job of director of photography on his next film, because he was interested in combining cinema and contemporary art. A few days later, she was asked to do tests for the film. Eponine Momenceau felt that over the course of their conversations, Jacques Audiard reconsidered his concept of the screenplay and its visual style. Then he called to confirm that he wanted to work with her, he wanted a new direction for his movies, he didn’t like the feeling like he’s just sailing forward. The heavy lifting, from preparations to shooting. “We thought we’d shoot a lot of the scenes on a tripod and we ended up shooting a lot of them from the shoulder. As we weren’t dealing with professional actors, they first had to get comfortable with the scene. I watched how they would use the space, I had a viewfinder with a zoom and I would look for the right angle. Lighting a Jacques Audiard film. Eponine said she had great support from Michel Barthélémy, the production designer, who was always thinking of the lighting for each set, he would choose very appropriate wallpapers and colours for the walls. 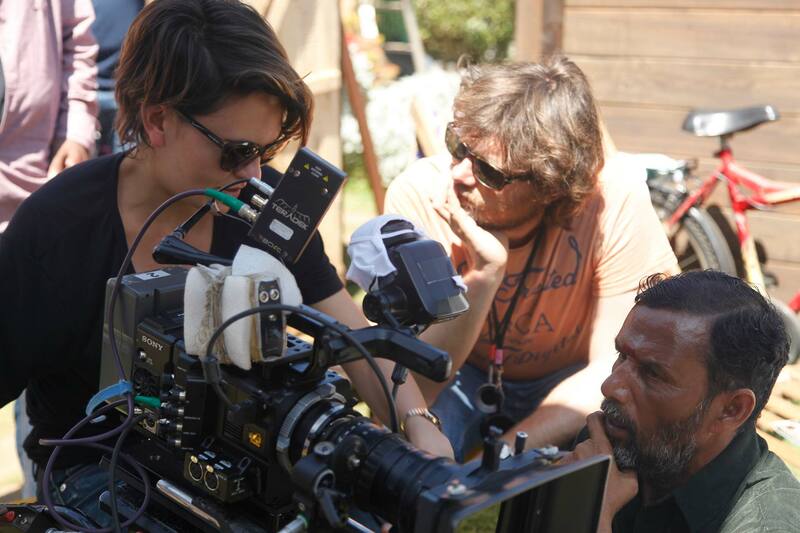 She said she got a lot of help by her crew, Marianne Lamour, the gaffer, and Edwin Broyer, the key grip. Eponine used the most powerful lights in Sri Lanka. There, she used Molebeams, placed far in the distance in order to light the jetty which was completely in the dark. She also used 18 kWs on a crane, the only light coming in through a window, in order to obtain high contrast. She also used a Ring Light, especially at night, for frontal lighting, but she never used them on the lenses. She also used boxes set up with Kino Flo bulbs, created by Pierre Michaud, the gaffer. 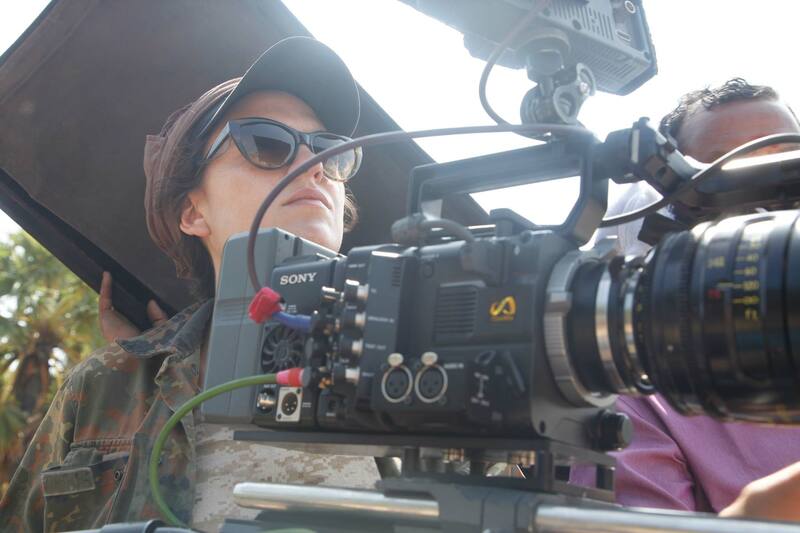 She tested the Sony F55 and found that it did a very good job rendering skin tone and other colors. It was fortunate that she chose this compact and lightweight camera because a lot of the scenes ended up being filmed from the shoulder. Eponine opted for Cooke S3 series lenses, which she likes because of their vintage “flaws”: they have a tendency to vignette or to flare, which “breaks up the digital effect.” She often used them without “matte boxes” and without a filter, in order to be able to handle the camera however she pleased. 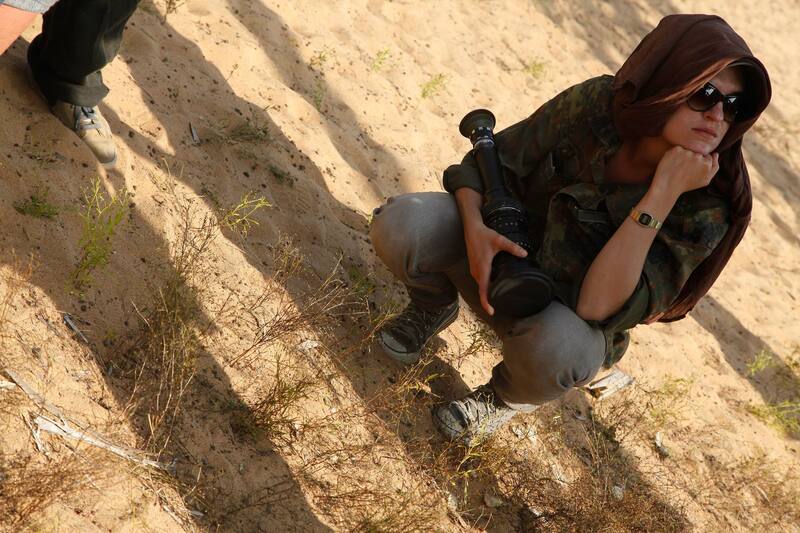 Otherwise, she also used the Angenieux Optimo 28-76 zoom. She also used a Mitchell filter to reduce the sharpness. On shooting her first feature film with Jacques Audiard. “That’s a great first question: how do you propose another technique of filming when the one he already used in his past films is extremely interesting? “It means being reactive. Not setting up too much in advance (generally speaking), having good instincts and making lots of suggestions. Being receptive to unforeseen circumstances and be flexible because Jacques Audiard doesn’t like feeling that things have been predetermined, and that the actors can’t move because there are marks all over the place. Putting as much lighting as possible off set.